Secure your spot at the world-famous Planet Hollywood and get better value for your money when you book in advance! 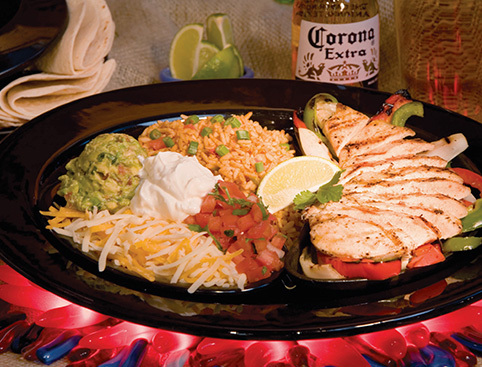 Please print this and present it at Planet Hollywood to receive your meal. What: Meal at Planet Hollywood. Don’t Miss: the amazing collection of movie memorabilia that adorns every wall!. 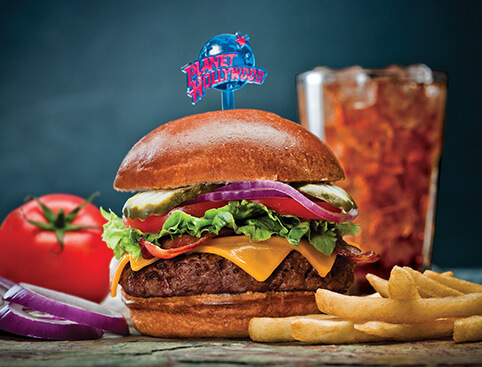 Exploring the magical parks of Disneyland Paris can be hungry work – and what better place to celebrate a day of non-stop excitement than the world-famous Planet Hollywood! Secure your reservation at this busy restaurant and get better value for money when you book your place in advance! 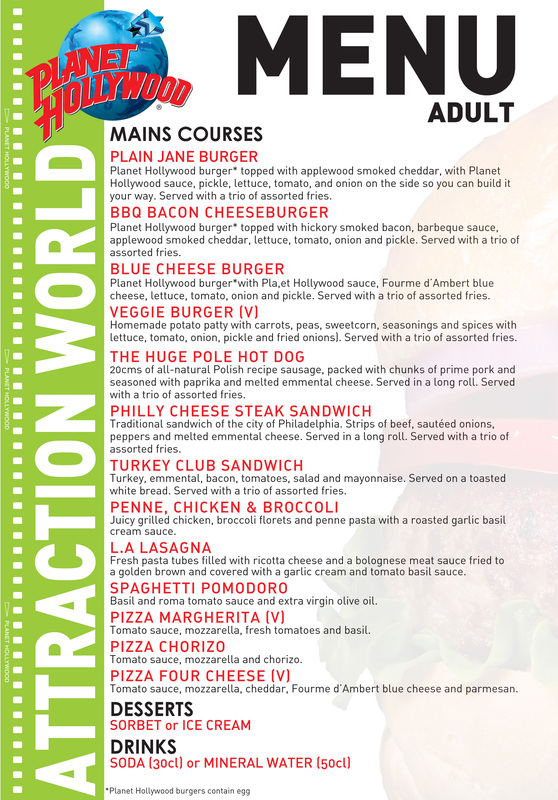 Reward yourselves after a long day of fun at Disneyland Paris with a delicious meal at the star-studded Planet Hollywood restaurant! As you climb the stairway and enter the restaurant you’ll be bowled over by the awesome collection of costumes, props and other memorabilia from some of the biggest movies. 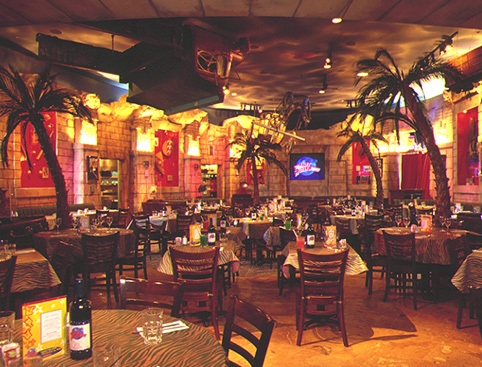 This exciting spot is a favourite haunt for celebs and party-goers alike. There’s always something, or someone, to see - but the real star here is the food! 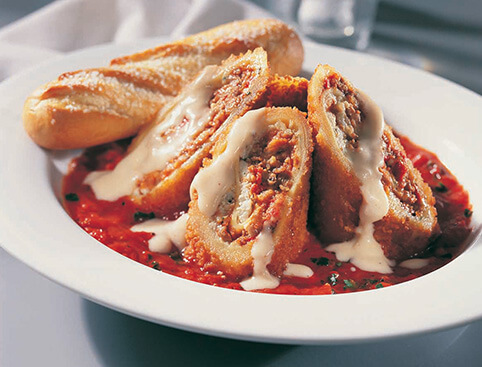 View the Adult Menu and Child Menu for the full list of food options available at Planet Hollywood. Please note that menus may be subject to change. Children under 3 don't require a ticket, but will not be given a meal of their own - so if you are visiting with a child under 3 and want a meal for them, you will need to book a child ticket. Please note that this ticket is for Planet Hollywood only – you will need a separate Disneyland Paris admission ticket to enter the parks. Vouchers cannot be used on dates such as Christmas Eve, Christmas Day, Boxing Day, New Year’s Eve and New Year’s Day. 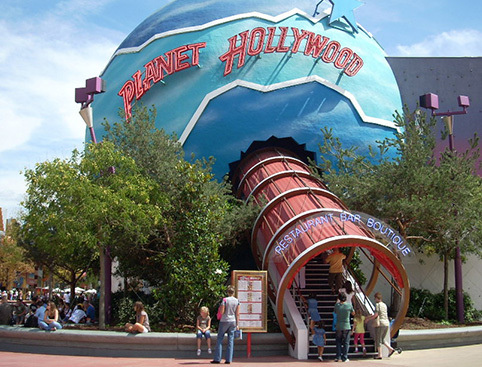 Planet Hollywood Meal Disneyland Paris is rated 4.5 out of 5 by 2. Rated 5 out of 5 by LisaMarie from Dinner in Disneyland! Me and my friend brought this for our day out in Disneyland Paris, we got seated straight away and our drink orders were taken! The atmosphere was very fun, with lots of iconic film and music props decorated around the room, sports on at the bar and good music playing in the background. The service was brilliant, very friendly and happy! I had a burger and fries for dinner, which did not disappoint. Perfect stop off for your day in Disneyland, would definitely recommend! Rated 4 out of 5 by Pammie_G from Fantastic day out Bought these tickets for myself and my daughter, we had a lovely time there. The food was really good.